Emmy award-winning designer/director and celebrated pop artist Zoa Martinez is internationally renowned for creating bold and innovative design as the President and Creative Director of ZONA Design, founded in 1999. Zoa’s creative leadership has built ZONA Design into an international award-winning design agency, using bold and provocative concepts that connect clients with consumers and increase sales through the power of design. She has packaged and created high profile campaigns for A&E Networks, Animal Planet, Candies, Chrysler, Discovery Health, Disney/ESPN Networks, Dodge, HBO, History Channel, History Channel en español™, IFC, SKY Italia, Time Warner/NY1, and more. Zoa is acclaimed for her creativity, drive, and business acumen. She’s recognized as one of the leading Latino designers shaping our world in art, fashion, architecture, and design. Her work has earned numerous EMMY, Telly, New York Film Festival, BDA and PROMAX Awards. In addition to being one of the most experienced creative directors in the broadcast design industry, the award-winning designer is also an exhibited fine artist. Zoa lectures as an expert in the field of design and branding, speaking at design conferences and universities like BskyB in Rome, Italy, the State of Design Conference at Promax/BDA, the HOW Design Conference, NAMIC, the Hispanic TV Summit, the Thinking Creatively Conference, the Savannah College of Art and Design, Parson’s School of Design, the School of Visual Arts (SVA), Cooper Union, and New York University. 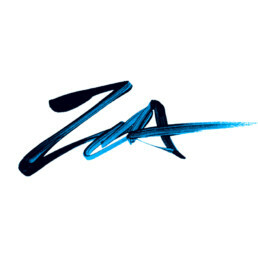 With unstoppable spirit, Zoa’s expressive and original style continues to fuel the world of design, producing distinctive marketing solutions, product design, packaging, and positioning brands across all media. Whether it’s on TV, mobile, the web, in print, or on the streets, ZONA Design specializes in Design Made to Move™.